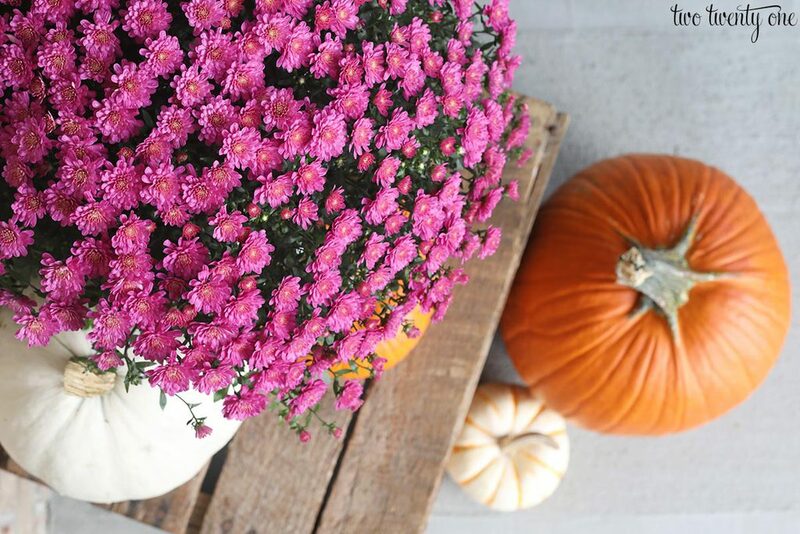 The time has come to decorate the front porch for fall. As you can see in the photo below, things were looking pretty barren after I cleared all the summer plants off of the porch. 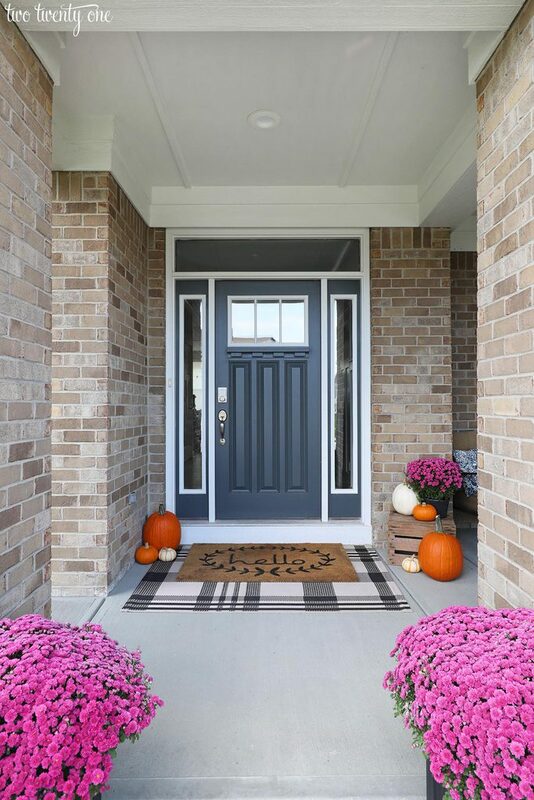 But before I get into the mums, pumpkins, and gourds, allow me to share a little front door DIY project we did this past weekend. 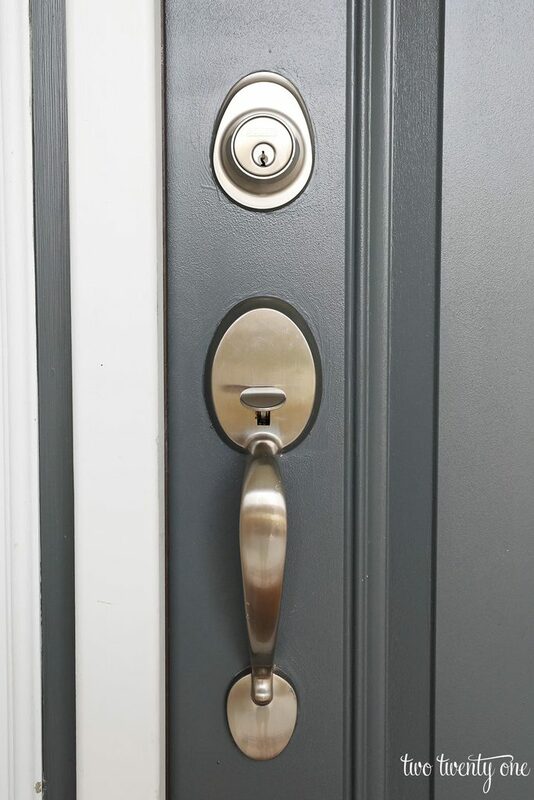 We had a Schlage keypad deadbolt on the front door of our old house, and we loved the convenience of not having to carry an extra key around with us. The Schlage Sense Smart Deadbolt takes a keypad deadbolt to another level. It’s easy to install, has built-in alarm sensors, stores up to 30 access codes, and is compatible with Amazon Alexa, Google Assistant, and Apple HomeKit. One thing we love about the access code, is that we can give it to friends and family so they can get into our house if we aren’t home to let them in. 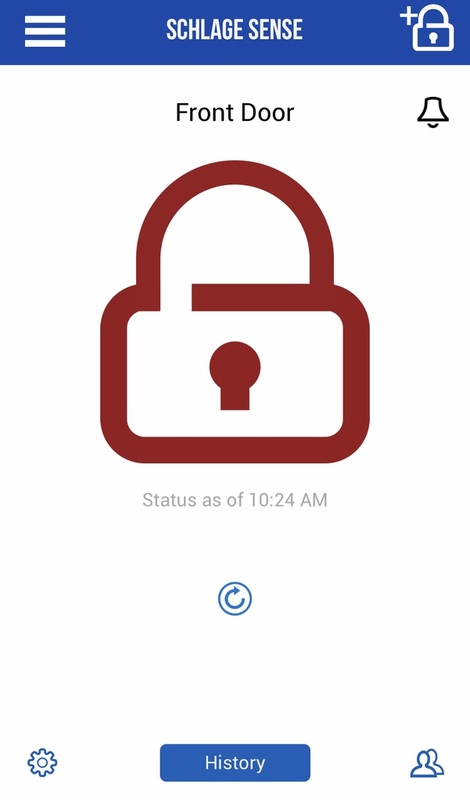 With the app, we can lock and unlock the door. It’s also handy when laying in bed at night and wondering, “Did I lock the door?” All I have to do is check the app to see the status of the lock. With small kids, the built-in alarm is nice. 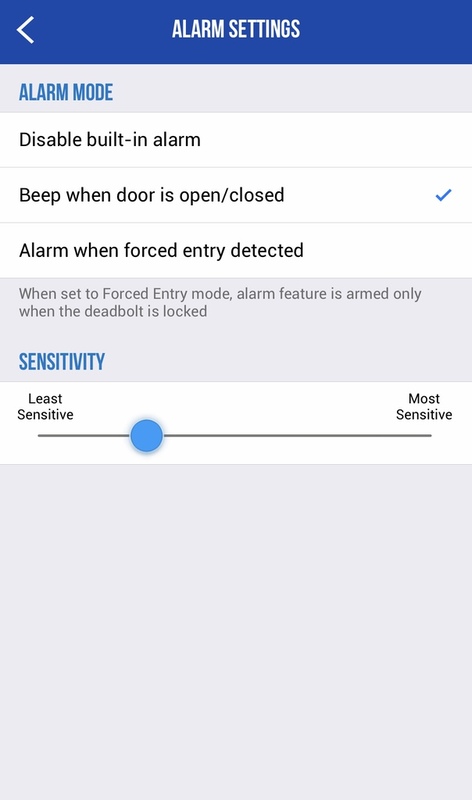 A beep will sound when the door is open/closed, or we can set an alarm when forced entry is detected. 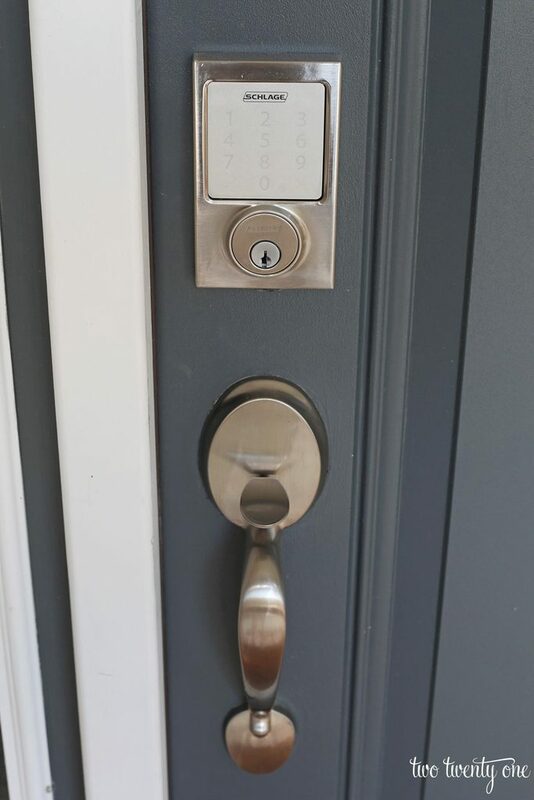 Check out how slick that Schlage Sense Smart Deadbolt looks on our front door. It really complements the doormat and rug, if I do say so myself. The old apple crate was purchased at an orchard a couple years ago– it’s great for adding a little height. I topped it with a smaller mum and pumpkins. We wanted to get new front porch chairs this summer but it didn’t pan out, so we ended up using two chairs from our old back patio set. I tossed an off-white and orange striped blanket on the chair to up the fall factor. 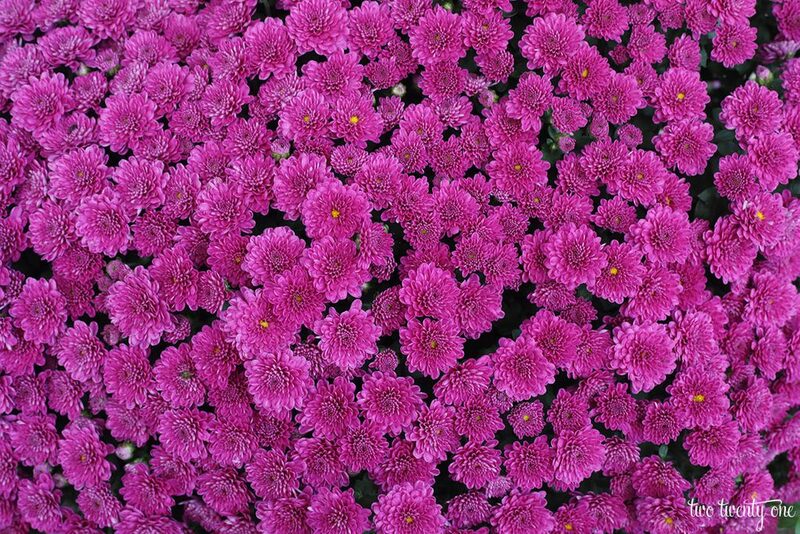 When it comes to mums, I tend to buy ones that aren’t orange. I like to leave the orange up to the pumpkins. I wasn’t a big fan of the planters the mums came in, so I plopped them into my self-watering planters. I didn’t even have to re-plant them– I just set the planters inside my planters. 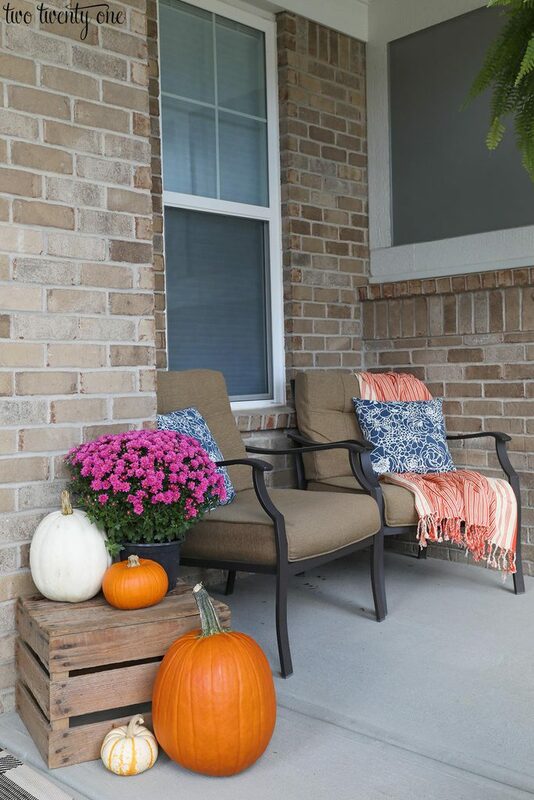 Now that the front porch looks ready for fall, we just need the weather to get the memo. Not dumb at all! There’s a water reservoir in the bottom that holds water, and the plant draws the water up from the reservoir. The planters have holes so if the reservoir gets too full, it’ll drain. First of all I have to say I have been a cosmetologist for 45 years and you have the most gorgeous hair I have ever seem!! !Had to tell you! 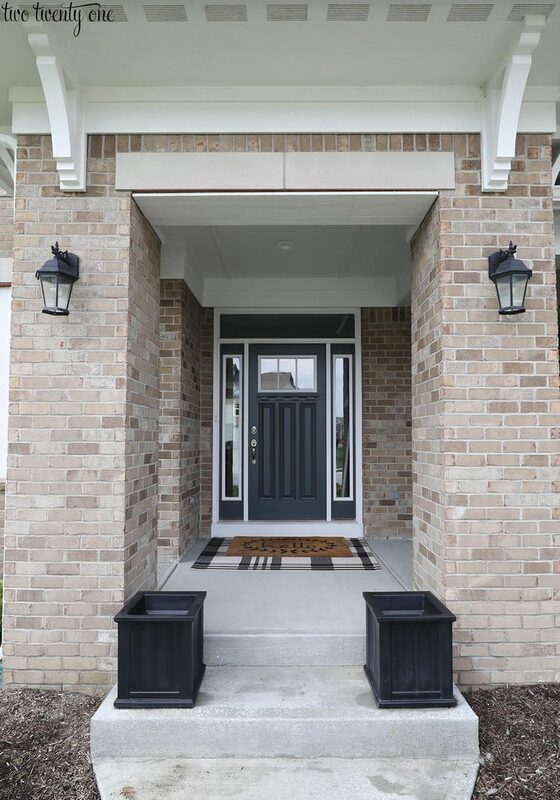 Love the look of your porch! 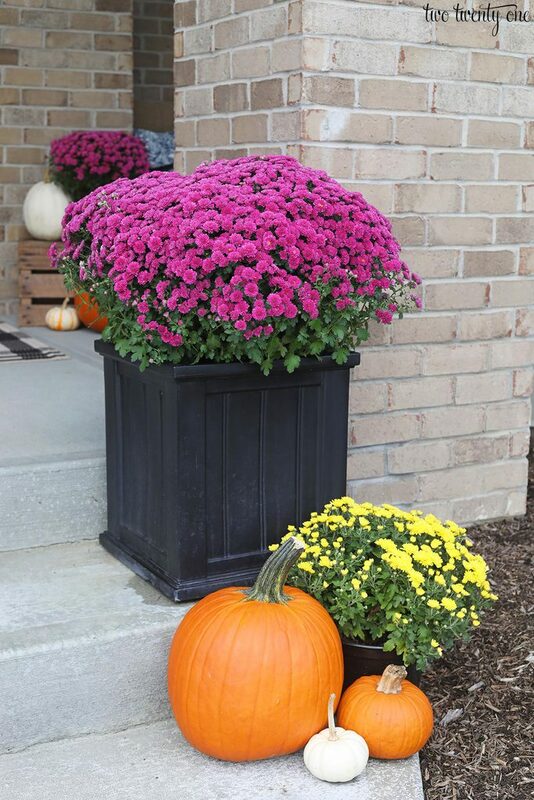 I do have a question, where did you purchase your black planter boxes? Happy Fall? Thank you so much! I’m very flattered! 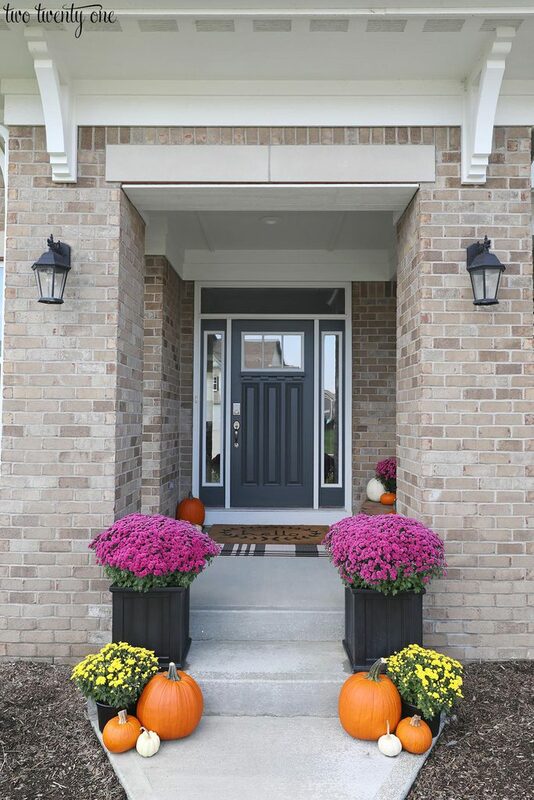 Porch is lovely and the door color is fabulous!! I, too, would like to know where you found your planter boxes. I’ll have to check this lock system out! We purchased one from Menards three years ago when we bought our house and it didn’t even last a year. If was a nightmare and would lock us out or just fail constantly. I love the idea of this because I’m constantly having to run back into the house after it’s been locked or my husband loses his keys all the time. Very nice fall decor. Was the lock hard to install? Love this front porch! Where did you get your rug from and what size is it? I love the look of the doormat over the rug!